How about this to freak you out a little? 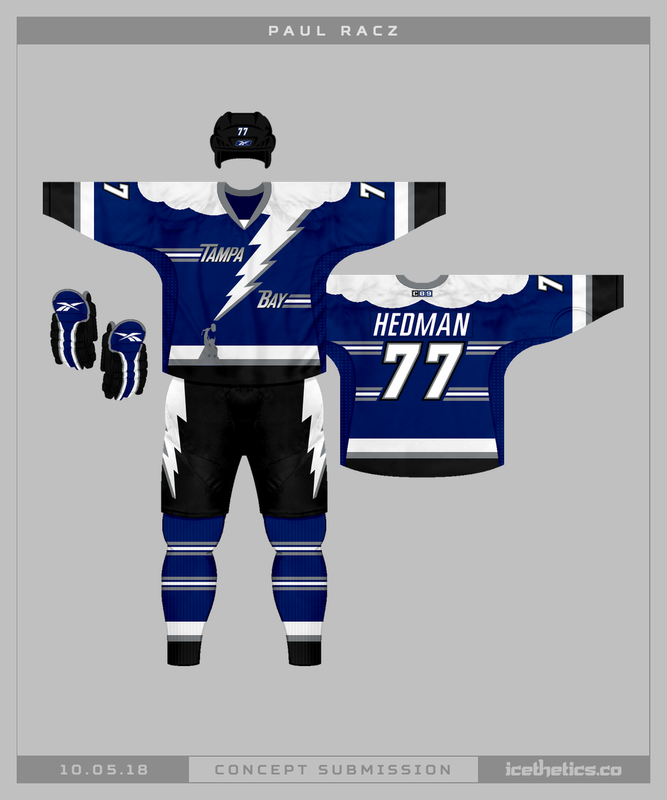 Paul Racz has a new take on a Tampa Bay Lightning storm jersey — in which Thor himself is summoning a lighting bolt from the clouds. Paul Racz is back! Longtime purveyors of hockey concept art may know that his work goes back more than a decade. And you may know him better as "capn89." 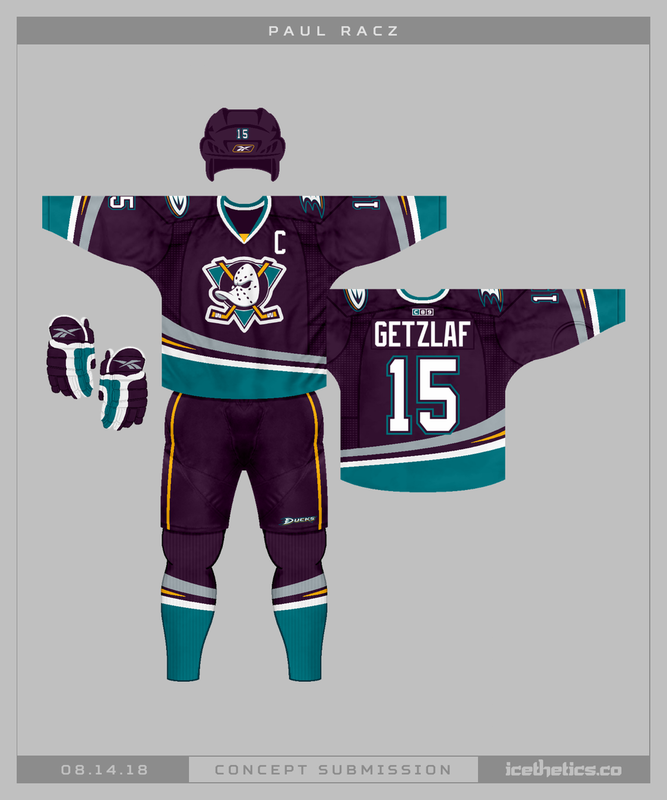 I think the last time I received a submission from him was 2011 but it's good to see him back — especially with this amazing set for the Anaheim Ducks. Classic colors. Modern style. If you can believe it, this submission from Paul Racz has been sitting on my hard drive since July 2011. I have no idea what took me so long to get around to posting it. It's an intriguing design — particularly that spoked "B" in gold.